The Community Symposium on Decommissioning San Onofre 2, with Dr Tom English, advisor to President Jimmy Carter on high-level nuclear waste and Joe Moross head Nuclear tech at Safecast, 3- 5:30 PM in San Clemente, free and open to the public, if you would like to attend remotely CLICK HERE FOR LIVESTREAM! #CSDSO II Real facts about what’s in the “cans” and what could come out of them. ROSE, invites you to attend our upcoming 2nd event on Nuclear Waste with Tom English and Joe Moross. Real facts about what’s in the “cans” and what could come out of them. 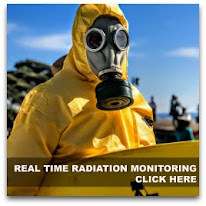 There will also be a discussion about Independent Real-Time Radiation Monitoring at San Onofre Nuclear Waste site with Joe Moross from Safecast on Oct 18, 2018, at 1201 Puerta Del Sol Suite 100 San Clemente, California 92673, 3 to 5:30 pm. 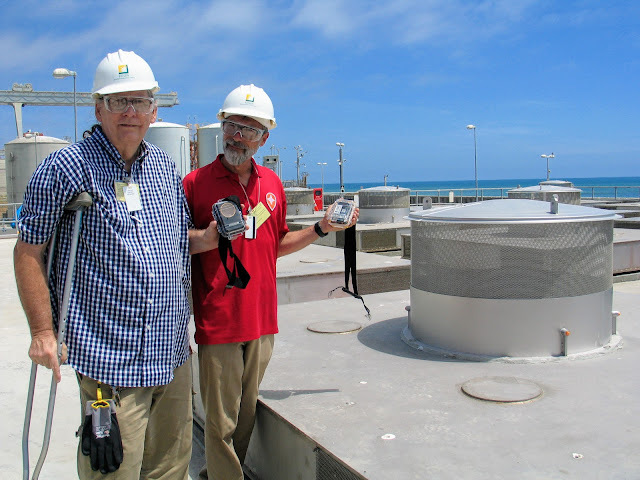 We will also discuss the higher radiation readings Darin and I got on our last visit to San Onofre Nuclear Waste site. We plan to stay on these two topics because of the time factor. Also, we want to have lots of time for a real back and forth discussion on both topics, so bring your questions. They will be answered with the best information we have. 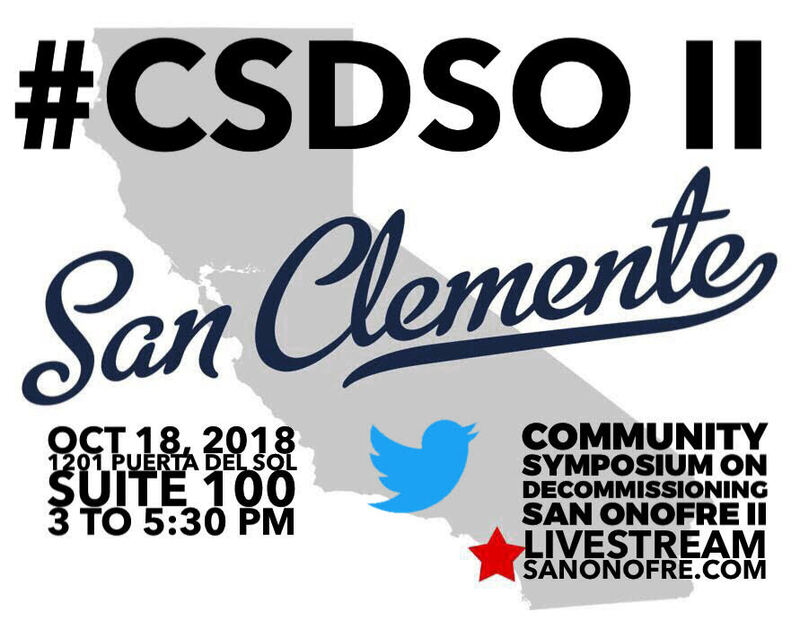 SCE was invited to participate in this symposium, but they declined because they do not want to come out and speak in public until sometime in November when the NRC will hold a meeting with their findings from the September 10 inspection. Joe Moross from Safecast is only here until late October which is why we are going ahead with this symposium. Instead of protecting our safety Southern California Edison’s plan appears to be to hide radiation leaks and hide the fact they are out of compliance with their Nuclear Regulatory Commission (NRC) license. See Condition 8 of License, page 3 (ML16341B080). This handout with more details (No Plan for Cracking Cans) was presented to Southern California Edison at the August 9th, 2018 Community Engagement Panel meeting. & Thank you Donna Gilmore for all of your investigational activities into the debacle that is the San Onofre Nuclear Waste Dump. Dear Readers, here is our updated text for this extremely urgent Residents Organized for a Safe Environment action alert. Hope you have time to let the CEP here from you today. Please share with your friends. If we want to make this work every email counts. Thank you in advance. Below is an action alert that ROSE is sending to some members of the CEP. 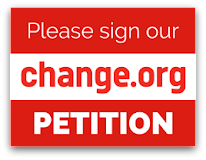 I hope you may want to join us in this action for our community. 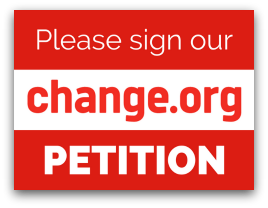 We need 1000 people to send an email to the CEP ASAP! If you are willing please send them a note, copy and paste or write your own text. The subject line should read "Independent Rad Monitoring/Symposium on Radiation"
I am asking each of you as CEP members to support and to take action ASAP along with SCE for a public CEP meeting on "Independent Public Real-time Radiation Monitoring" for San Onofre Nuclear Waste Dump, and a second CEP meeting for an "Educational Symposium on Radiation" with "independent" radiation experts along with experts from SCE and the NRC. This a necessary step for all the stakeholders to understand what is in and what could come out of these cans now or in the future. Thank you for your consideration of these two programs for the safety of our community. They'll Be Calling You A Radical! SHOWING UP IS ALSO NOT THAT COMPLICATED! Background on Nuclear Waste issues at San Onofre, just south of the world famous Trestles spot in San Clemente California AKA SURFING USA! In Feb 2018, Edison began the year and a half long process of loading 73 more canisters of nuclear waste into the beachside concrete storage silo at San Onofre, adding to the 51 loaded canisters that have been on-site starting in 2003. Public criticism ranges from outrage to disbelief as people realize the location of the nuclear waste storage is 100’ from the ocean, inches above the water-table, in an earthquake-tsunami zone, a few hundred yards from the I-5 freeway and Railroad, and…. on one of southern California’s most iconic beaches. 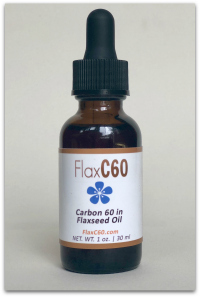 With each welded-shut 5/8” thick (thin) stainless steel canister containing roughly the radioactive equivalent of the 1986 Chernobyl disaster, critics aptly refer to the loaded canisters as Chernobyl Cans. At the March 2018 CEP meeting, in his update on the nuclear waste loading process, Tom Palmisano, Edison’s Chief Nuclear Officer, stated that a defective canister was discovered. Workers found loose bolts in the bottom of an empty canister. The bolts hold the internal fuel basket structure in place, and allow passive helium flow inside the canister. This air flow is critical for cooling the thermally hot and highly radioactive waste. According to Palmisano, Holtec changed the interior design without notifying Edison or the NRC. Palmisano stated that all remaining canisters with the defective design were returned to Holtec, and loading resumed using canisters with the original ‘bolt-less’ design. But what about the four - already loaded - defective canisters? AS YOU READ THIS LINE TODAY Edison has no method to repair or replace the defective canisters. LET THAT SINK IN FOR A MOMENT!!! NO PLAN B IF ANYTHING GOES WRONG! At this next CEP meeting, in response to Edison’s inability to unload / reload canisters, Palmisano will presumably repeat what he has already stated at a number of CEP meetings, that defective or leaking canisters will be stored inside transport casks (like Russian dolls). But transport casks have not been approved by the NRC for storage of defective or leaking canisters. Transport casks were not designed for storing these extremely hot canisters. Public awareness of Edison’s poor choice of both the storage canisters and the beach-side storage site is growing. At this point, people are particularly concerned about the 51 canisters (Chernobyl Cans) that could already have significant corrosion and cracking. We are calling for Edison to build a Hot Cell, and reload the fuel waste into proven Thick-wall Casks (10" to 19.75" thick). A Hot Cell is a helium-filled, robotically-operated facility, and it is the only other NRC approved method to unload canisters. Thick-wall Casks, unlike the Thin-wall Cans, can be inspected, maintained and monitored to PREVENT major radioactive releases into the environment. Thick-wall Casks withstood the Fukushima disaster. Further implications of recent revelations:its not just our backyard. 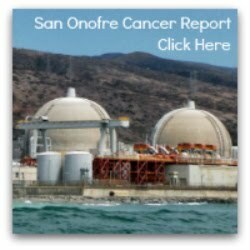 These problems with the canisters at San Onofre apply to numerous sites across the country where over 2400 loaded thin-walled canisters are currently stored. spent nuclear fuel and its containment must be retrievable, maintained and monitored to prevent hydrogen gas explosions in both short and long term storage and transport. Edison has clearly indicated this cannot be done with the on-site spent fuel pools. Edison's NRC license requires the ability to unload canisters back into the pool. 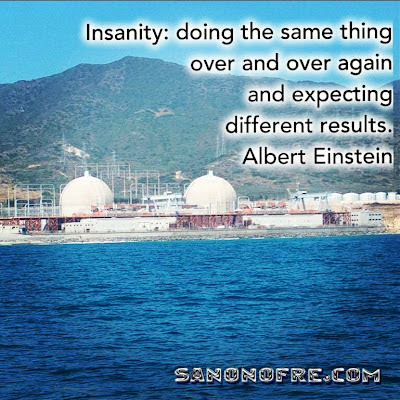 It appears Edison is out of compliance with their NRC San Onofre dry storage licenses. RESCIND THOSE LICENSES! Chernobyl Can - Ticking Time Bombs - at San Onofre.